The only Lean PM tool that delivers correct priorities across your company. So why does product development take so long? Incorrect priorities are the number one cause of project delays. It’s a complex process. Designs are complicated, teams are dispersed, everyone is busy. And oh, the work is invisible. 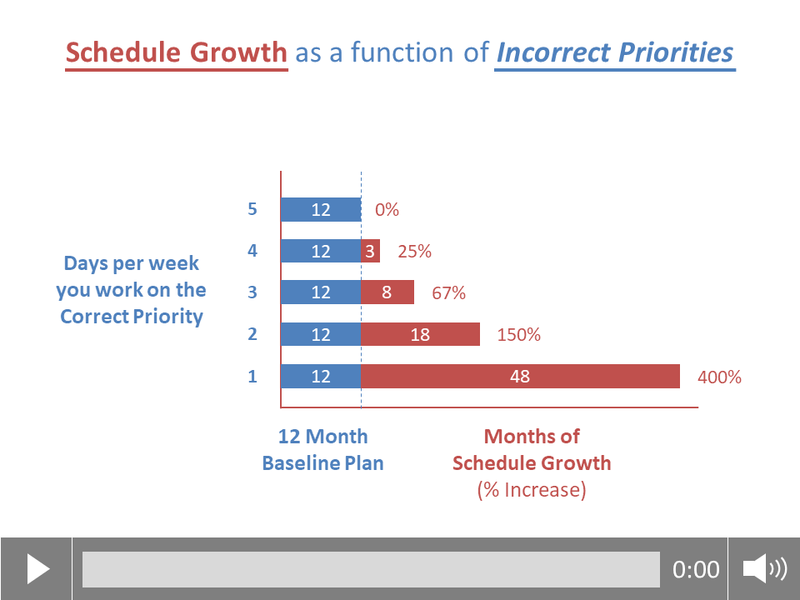 Does your project management tool solve for correct priorities? Complex problems require powerful tools. That’s Playbook. Transforming project management. Playbook creates flow for fast product development teams. The biggest cause of slow projects is people working on the wrong thing at the wrong time. Most projects have hundreds of tasks that need to be completed. And people are often on multiple projects. So how do they decide what to work on each day? They usually guess. And if they guess wrong, the project could slide a day without anyone knowing. One day might not sound like much, but if you only have the correct priorities half the time, the project will double in length! Playbook makes the correct priorities clear for everyone, across all their projects, every day. Let’s face it. Product development projects proceed a lot better when there’s a plan. But let’s be clear. We’re talking about a plan, not a schedule. A plan is flexible and allows the team to adapt and make changes. We know it’s going to change, but we also know we’ll do better if we have some clarity around what needs to be done, in what order, by whom, and how long it will take. These details are best provided by the people actually doing the work, so Playbook was designed with a simple planning tool that even busy people can use. The additional benefits of having the team members participate is that the plans are not only more accurate, but everyone is bought in and knows what’s going on. That’s how high performing teams win. The high level of uncertainty in product development makes long term planning impractical. The good news is it’s also unnecessary. Playbook allows you to create high level outlines when you start, and then add increasing amounts of detail as that works gets closer. This means the near term work is detailed enough to be optimized so that everyone knows what needs to be done. People like to add buffer to their task duration estimates because they don’t want to be late. But student syndrome causes them to multitask on other things until a task is almost due. So they’ve used their buffer before they even start. Playbook takes the buffers out of individual tasks, and uses a shared buffer instead. This helps eliminate multitasking and creates more accurate plans and faster projects. Did you ever consider that some of the information shared in a bi-weekly status meeting is literally two weeks old? High performing systems require fast feedback. Short and frequent standup meetings do this by uncovering blockages and communicating issues as soon as they occur. Playbook processes all of this critical information, and facilitates the meetings to ensure these issues are resolved and everyone knows their priorities, every day. Do you think rush hour traffic is bad? Did you know it’s possible to double the duration of your existing projects simply by adding just 10% more work? Just like rush hour traffic, the impact of overloading the system is exponential. Wouldn’t it be nice to know if that was happening on your projects, immediately? Playbook can tell you before it happens, or if you’ve already done it. Traditional Project Management methods rely on due dates and pushing tasks on people. Lean manufacturing and Kanban systems taught us the transformational power of pull systems. So why don’t we use it in project management? Playbook does. Eliminate multitasking, manage WIP, happier teams. Most managers find out about late projects after they’re late. But that's like applying your brakes after you've hit something. Wouldn't it be nice to predict it before it happens? Monitoring resource loading helps, but it’s possible to get false alarms. The best early indicator of a late project is the size of the queues. Playbook was designed to monitor the queues and give you advance notice so you can take action long before the project is actually delayed. Request a free trial and see what it’s like to run a project with the best features of Lean, Agile and Theory of Constraints. How do I get started with Playbook? Ready to go Lean? If you just want to poke around under the covers, request a login or watch this demonstration video. If you are ready to immerse your team in Lean and Agile, it’s very easy and risk free to try Playbook. This outline shows the steps we follow to get a team up and running. If you do it as a Free Trial, we normally work with 4-5 people from one project and help them plan to a near term milestone. The Trial is 30 days, but you will know by the end of the first or second week if it’s going to work or not. The only “down time” for the team members is the initial 6 hours of training shown on the first two days. The rest of the time we’re helping the team move the project along so you’re actually making additional progress during the trial. We have several pricing options to suit the needs of your company. Check out our pricing page, give us a call on 303-323-4296, or send us an email and we can talk dollars and cents. Can I launch Playbook locally on our internal servers? Yes, we do offer a local hosting option with Playbook. Let’s talk about your unique requirements or send us an email. How does Playbook compare to other Project Management products? Playbook is a hybrid tool that leverages methods and principles from Lean, Agile and Theory of Constraints as well as other methodologies to ensure your hardware product development project runs at the speed of flow. Our clients have experienced improved delivery times of over 85%. Contact us for a demonstration. What types of projects is Playbook designed for? Playbook is specifically designed to solve the unique problems that hardware development teams face. It’s based on Lean, Agile and TOC principles and methods. Teams that use Playbook are trained not just on the software, but on principles and methods that work to make projects move at the speed of flow. My team is growing, how can I get more training? We know things change and people come and go, so we offer both face-to-face and online training for your team. Let’s talk so we can understand your needs better and build a package that works for you. What type of service can I expect after launch? Not to toot our own horn, but we will! The Playbook team prides itself on giving you exceptional service especially after you buy. But don’t believe us, here is what our customers have to say. Does Playbook offer Lean and Agile project management training? Yes we do. We offer face-to-face and online options for you and your team. Reach out and we can discuss the approach that is best for you. What kind of reports are available with Playbook? Because Playbook records everything that happens to a task, the reporting capabilities are beyond what most people have seen before. We also create custom reports to meet your exact needs. Send us an email and let us know your needs. Can I see a demonstration of Playbook? Yes, you can. Here is a link to Part 1. It discusses what actually causes project delays. It's not what you think. In Part 2 we show you the software and how Playbook solves for these issues. Alternatively, if you'd rather speak to a human, email us and we will get back to you ASAP to schedule a one on one demonstration.